Small ship cruise line Alaskan Dream Cruises will celebrate its eighth cruise season in 2018 with the launch of the new "Alaska's Frontier & Wilderness Quest" itinerary. The 2018 season runs May 11 through mid-September with 58 sailings on six different itineraries. 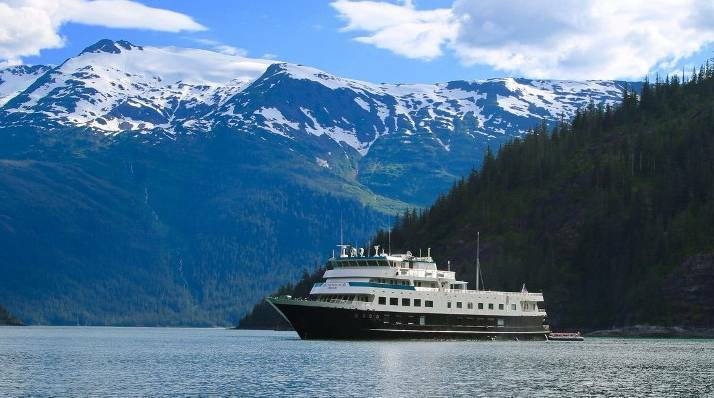 Many of those cruises, including a new 10-night "Alaska's Frontier & Wilderness Quest," will sail aboard the 74-passenger Chicagof Dream, which sailed its inaugural Alaskan Dream Cruises voyage in 2016. The itinerary explores the regions of Alaska's Inside Passage, including two full days in Glacier Bay National Park and Preserve and a day in Skagway. Guests travel from Sitka to Juneau, spending time in small communities such as Kake, Wrangell and Petersburg. The "Alaska's Frontier & Wilderness Quest" itinerary is offered on June 3 and June 13, 2018 and starts at $6,290 per person. Additionally, special pricing is available for those booking early or traveling solo. All 2018 sailings can be purchased at 2017 rates when booked before August 1. Multiple departures of the seven-night "Alaska's Glacier Bay & Island Adventure" Itinerary on Chicagof Dream will be discounted for solo travelers. The single supplement fee will be waived for any A or AA category cabins on May 13, 20, 27 and September 2 and 9 departures. Alaskan Dream Cruises will also bring back its seven-night "Alaska's Islands, Whales & Glaciers," "Alaska's Glacier Bay & Island Adventure" and "True Alaskan Family" cruises; the eight-night "Alaska's Inside Passage Sojourn" itinerary and the 10-night "Alaska's Southeast Explorer" sailing. The full 2018 cruise schedule and rates can be found online at www.AlaskanDreamCruises.com.